Did you know that high blood glucose levels in women with diabetes and insulin resistant PCOS can prevent an embryo from implanting in the uterus? It can. 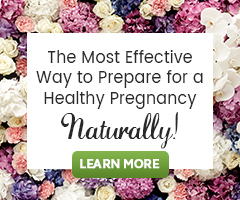 These conditions may cause a miscarriage before the woman even knows she is pregnant. 12.6 million American women have diabetes. 13 million American men have diabetes. 7 million additional Americans have diabetes and don’t even know it. An estimated 5 million American women have PCOS. Both diabetes and insulin resistant PCOS can make it harder to have a baby, but there is hope through the traditional Indian herb Gymnema. Gymnema has been used for hundreds of years by Ayurvedic practitioners to reduce high blood sugar. Before the 1900s they did not yet diagnose their patients as diabetic; they did not yet have the diagnostic tools to do so. The Ayurvedic practitioners simply called it madhumeha, which means “honey urine”. It was named madhumeha because ants were attracted to the urine of these patients, because it was sweet. The first documentation of Gymnema use to control hyperglycemia was in 1920. Since then this plant has been studied several times for managing blood glucose levels. This herb has a “sugar blocking” action on taste buds and the small intestine. Gymnema blocks the typical paths that sugar molecules take during digestion, delaying the absorption of sugar. This plant has the ability to lower high blood sugar levels in people with hyperglycemia, typical in diabetics. It does this by stimulating the regeneration of pancreatic cells that produce insulin, which aids in more insulin production, in turn stimulating production of enzymes that help with the uptake of glucose into cells. It then prevents stimulation of the liver to produce more glucose. Gymnema also appears to have a lipid-lowering effect, which aids in weight loss. Weight management is of particular concern for both type 2 diabetes and insulin resistant PCOS. Several studies have shown that Gymnema is so effective, doctors were able to take some of their diabetes patients off of their prescription medications. What is the advantage in choosing Gymnema over prescription medication? Gymnema has been shown to control and lower blood glucose levels without lowering it below normal levels. Some prescription medications can cause blood glucose levels to become too low. It is best to take at least 3-6 months to lower and balance blood glucose levels, prior to trying to conceive if you have diabetes, or insulin resistant PCOS. Talk to your health care practitioner to see if Gymnema could be a part of your health plan, along with important diet, exercise and lifestyle changes. Gymnema (Gymnema sylvestre, G.sylvestris) is a vining plant, with oval shaped leaves and yellow flower clusters. It is indigenous to tropical Asian forests. The part of the plant that is used is the leaves. Gymnema comes in loose powder, capsules, tablets, and liquid tincture (extract). It may take several weeks for Gymnema to have a therapeutic effect on the body. It has been shown safe for use until desired effects are achieved. Gymnema has been shown to be extremely safe for use, but you should consult with your healthcare practitioner before beginning use of this herb. Gymnema may increase insulin levels and decrease iron absorption in healthy, non-diabetic people, with theoretical potentiation of lipid-lowering drugs, glucose-lowering medications, and hypoglycemic medications. Not for use in pregnancy or lactation. Barney, M. (2006). Gymnema Natural Ayurvedic Herb for Diabetes. Woodland Publishing. Can someone who is pre-diabetic use this herb? I have two persons in mind, one is a 12 year old girl with hormonal imbalance, bed wetting, weight gain and itchy skin; the other is a woman in 40s. It will be best for the 12-year-old to work one on one with a practitioner who can evaluate the entirety of her needs (my apologies if that is you), but do not work with pre-teens. Dietary and lifestyle changes are important for her, but she may need guidance to make them feel attainable/doable. The woman in her 40s may be able to consider Gymnema if not on medication. Will gymnema lower iron levels in diabetics? I can not say definitively yes, or no. I can not know this for sure for everyone. I have PCOS (irregular menstrual cycles) and insulin resistance too. After reading so many articles I have started taking Shatavari and Ashwaganda to balance my hormones, which really started working for me. And for insulin resistance I am taking Myo-Inositol 2000mg. But if I skip the dose of Myo-inositol any day I can actually feel increased thirst and some sort of itchiness inside my legs and feet. Now I came to know about Gymnema. Can you please suggest which one is better Myo-inositol or Gymnema? Can I use them together? As I want to permanently cure this insulin resistance issue. Thank you. How great that you have seen changes! Have you also focused on diet? This is very important for women with PCOS. We offer two great guides to explain why and the PCOS Diet. 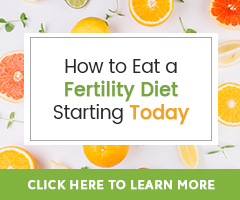 They are How to Reduce the Damaging Effects of PCOS on Fertility Through Diet and Herbs and PCOS Fertility Diet Tip – Simple Food Choices to Stabilize Blood Sugar. Gymnema works differently than Myo-inositol. I’m not certain it would have the dame effect for you an Myo-inositol has, however they can be combined if Gymena’s benefits were appealing to you.